Animal-friends introduce young students to musical concepts and symbols basic to musical literacy. Set 1 presents concepts of rhythm, register, pitch and intervals. Illustrations appear on one side of each card to help students visualize the concepts each symbol represents. Symbol notation, only, is provided on the reverse side, and students should be encouraged to work here as soon as possible. Eventually, Sets 1 and 2 of these cards should be merged to provide a rich source of melodic patterns, intervals and basic rhythms for students to apply as they proceed through lessons. Using these cards a few minutes in daily practice and in short review games during lessons, will help students develop a foundation for a lifetime of enjoyable musical participation. Set 2 of this two-set flashcard collection continues students’ experience with rhythm, register, pitch and interval concepts and symbol recognition. Musical Signs - Set 2…. SAMPLE The 30 different rhythmic patterns presented on these cards in 3/4, 4/4, and 6/8 meter help students practice and develop sight-reading, rhythmic acuity and improvisational skills. Rhythms are presented as graphics on one side of each card, and notated on the reverse side. Mix and combine these Basic Rhythms cards in limitless ways for ongoing fun creative learning activities. Excellent for any age group and instrument. Activity suggestions included. SAMPLE The 46 different basic melodic patterns presented on these cards help students develop the valuable musical skill of reading patterns by their “shape” or contour. Melody patterns appear as graphics on one side of cards, and notation on the reverse side. Limitless ways to mix, combine, create, play and learn with these cards. For all age groups. Activity suggestions included. 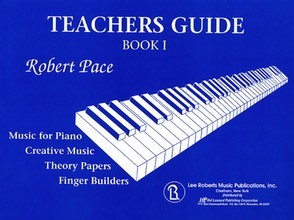 SAMPLE Long after students develop quick recognition of lines and spaces, game activities with these cards are useful for identifying intervals and key notes for key signatures, creating and reading melodic patterns, and practicing many other elements of note reading and musicianship. SAMPLE Teach scale and row formation, interval identification, chord structure, and more. Activity Suggestions included. 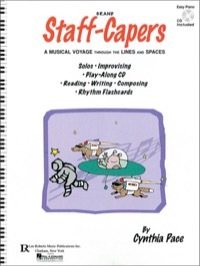 SAMPLE Beginning piano and general music students get acquainted with all lines and spaces of the Grand Staff, a few at a time, through Grand Staff Capers’ six engaging songs. Beyond symbol recognition, students also learn keyboard topography, different tonalities, basic rhythm patterns, and, of course, creative skills. Play-Along CD, Detailed Directions, and Rhythm Cut-Outs Included. SAMPLE Teach immediate recognition of all major and minor key signatures. 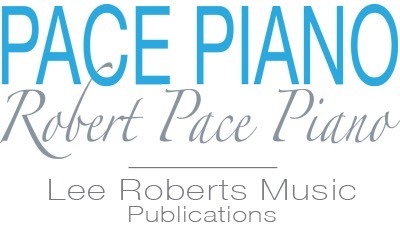 Includes all sharp and flat key signatures (treble & bass), and major and minor names on reverse. Play and learn the sound and feel of chords right from the start! 12 Major, 12 Minor, 12 Diminished, and 12 Augmented chords. Chord illustration on one side, chord names and notation on reverse side. Helps with basic lead sheet triad symbols, improvisation, and ear-training. Activity suggestions included. SAMPLE These flashcards help develop students’ aural and visual recognition of basic triad chords. See also: Minor, Diminished and Augmented triad flashcards. SAMPLE These flashcards help develop students’ aural and visual recognition of basic triads. See also: Major, Diminished and Augmented Triad flashcards. SAMPLE These flashcards help develop students’ aural and visual recognition of basic triads. See also: Major, Minor, and Augmented Triad Flashcards. SAMPLE These flashcards help develop students’ aural and visual recognition of basic triads. See also: Major, Minor, and Diminished Triad flashcards. 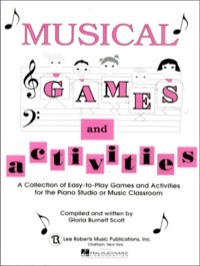 SAMPLE Creative, fun musical games and activities—including flashcard games. Students learn keyboard topography, lines and spaces, melodic contour, key signatures, tune-ups, chords, and more! Annotated adaptations for other levels and at-home use. Great for Studio and Classroom. 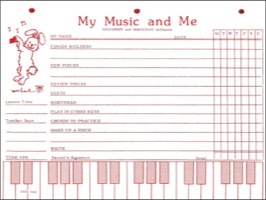 SAMPLE Double sided pages include check boxes, lines for parent signature, lesson time, teacher comments, performing and listening diary, staves for note practice, compositions, and dictation, and a keyboard for note practice, playing position reminders, etc. Use as a notebook or as single sheets.